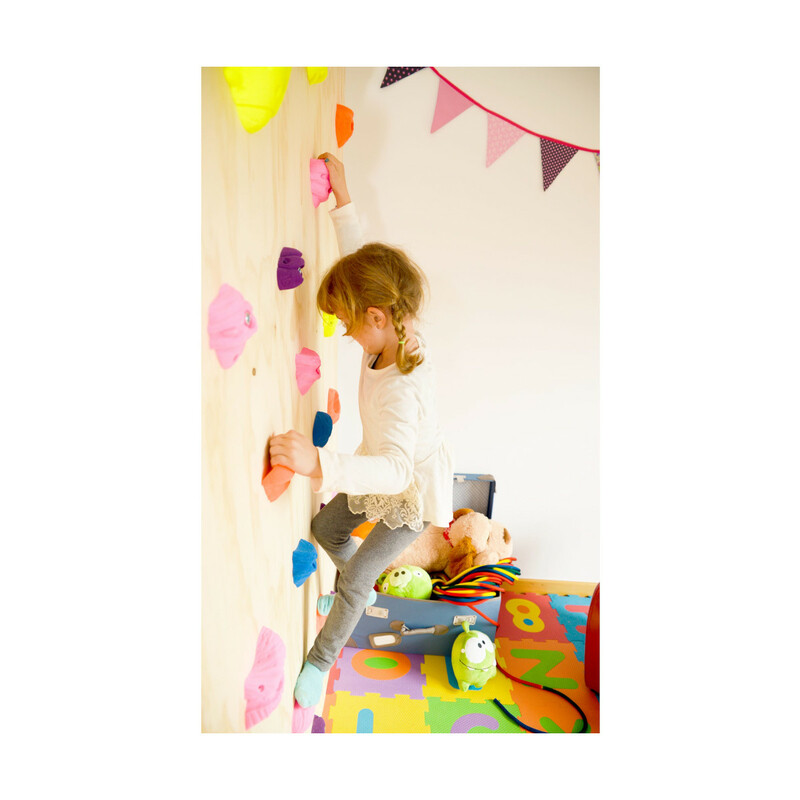 With the Fixe Play basic pack, you will be able to create fun and challenging play spaces in your house. 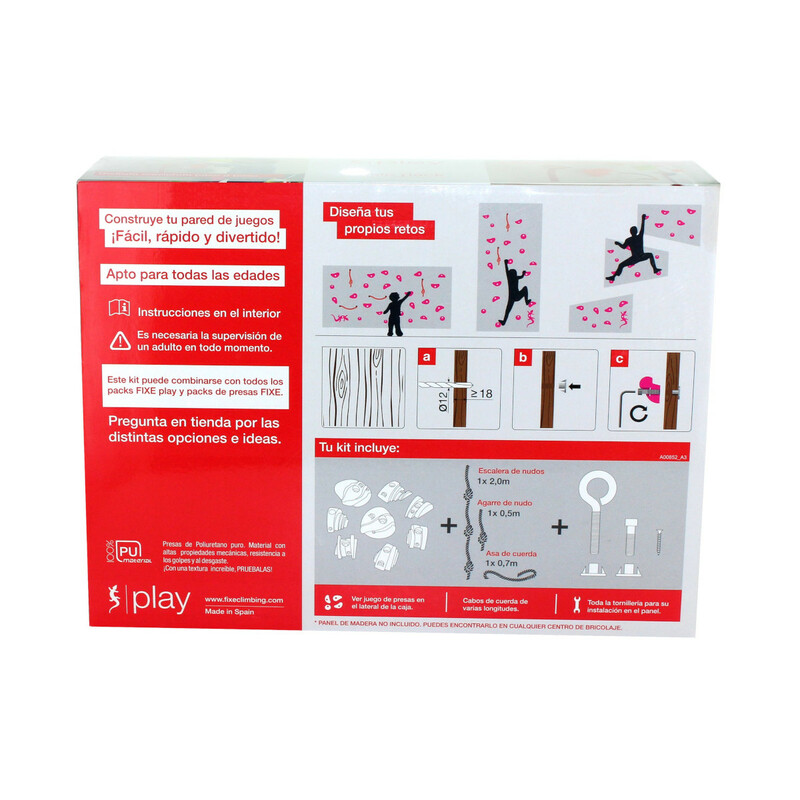 The pack has 8 high quality holds and three pieces of climbing rope with lengths of 1 and 2 metres. The kit also includes all the necessary hardware you will need for installation into a wooden paddle of up to 18mm. 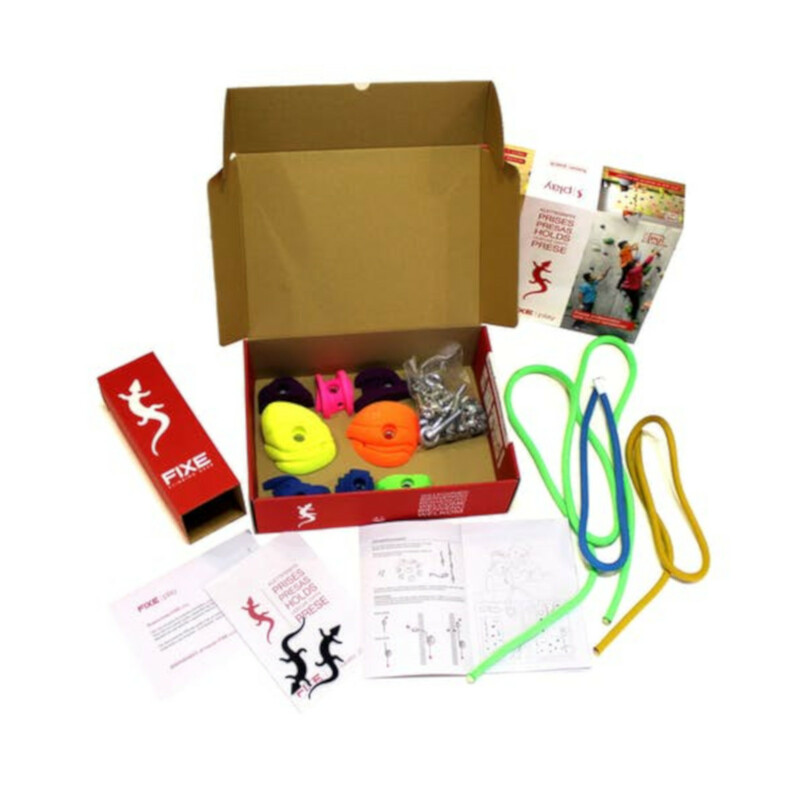 The kit comes with all the instructions for installing it, its suitable for all ages and is easy, fast and fun to assemble.